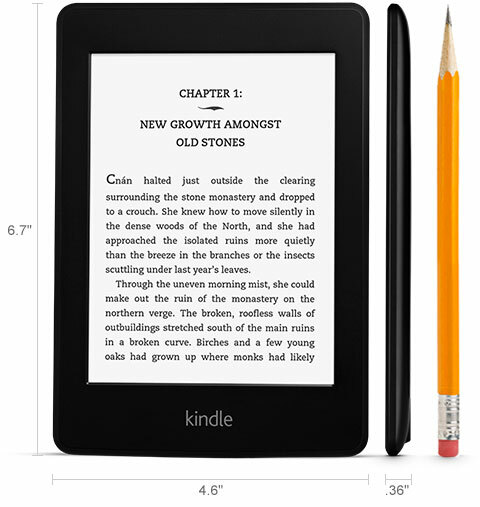 The popular e-readers are now brighter and have more pixels per inch. However, the popular Kindle Fire has been updated and the series expanded to include impressive models with both HD and Full HD displays in 7-inch and 8.9-inch form factors. In a previous article, we reported that the Kindle Touch and Kindle Fire were no longer available on Amazon.com leading to much speculation of a Kindle Fire 2. These rumors were confirmed today during a highly-anticipated Amazon press conference in Santa Monica, California. During this press event, Jeff Bezos, founder and CEO of Amazon, introduced the online retailer’s new lineup of Kindle tablet devices. Anyone visiting the Amazon.com website after the media event was greeted by a web-letter from Jeff Bezos introducing the new Kindle family. The original Kindle e-reader now has improved fonts, 15 percent faster page turning, and a reduced price of $69. The Kindle e-reader series has also been expanded to include two new models belonging to the Paperwhite series. 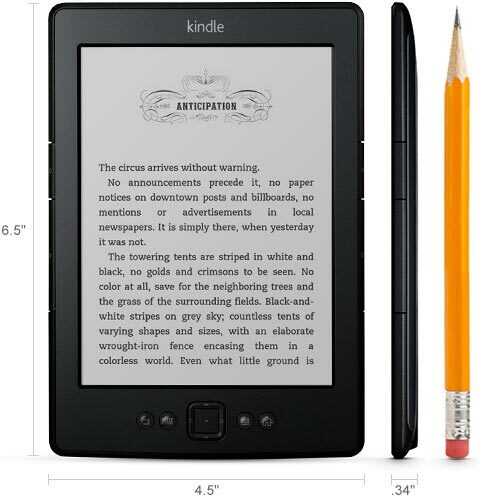 The Kindle Paperwhite 3G includes free 3G wireless and carries a price of $179. 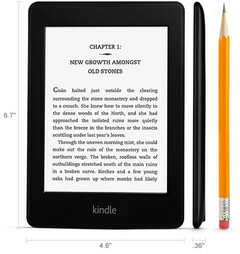 The standard Kindle Paperwhite costs only $119 but requires the user to provide a Wi-Fi connection. Both models feature new “Paperwhite” technology that results in 62 percent more pixels and a 25 percent higher contrast ratio when compared to the original Kindle e-reader. Pre-orders for both models are available starting today and shipping begins on October 1. All cited prices include “special offers” which are displayed when the e-reader is not used for reading. These can be removed from any model for an additional $20. 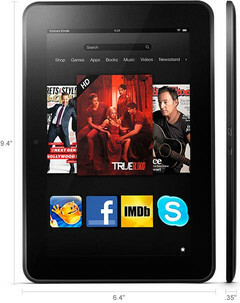 Of course, all three of the Kindle e-readers took a backseat to the stars of the media event – the Kindle Fire HD series. The three tablets that comprise this series are available in 7-inch and 8.9-inch form factors. 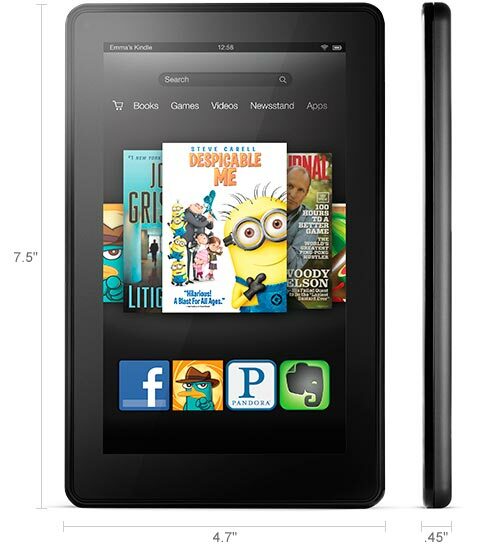 The 7-inch Kindle Fire HD is available with 16 GB or 32 GB of internal storage for $199 and $249 respectively. Both feature a 1280x800 HD display and a 1.2 GHz TI OMAP4460 dual-core processor. 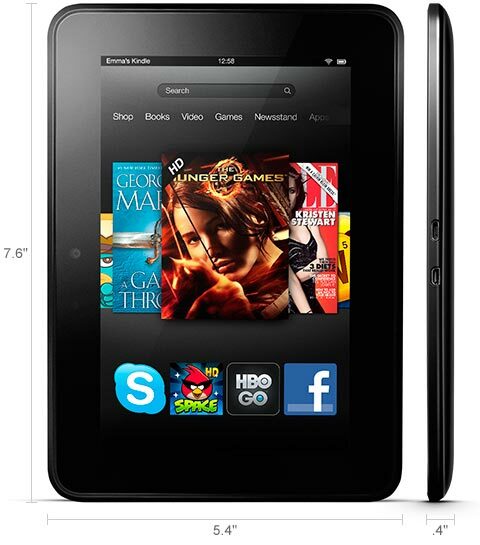 The 8.9-inch Kindle Fire HD 8.9 is available as Wi-Fi only and Wi-Fi / 4G LTE models. The Wi-Fi only models cost $299 and $369 for 16 GB and 32 GB variants respectively. On the other hand, the 4G LTE models cost $499 and $599 for 32 GB and 64 GB configurations. Both 8.9-inch models use a 1920x1080 Full HD display and a 1.5 GHz TI OMAP4470 dual-core processor. All models include a front-facing HD camera, dual-band dual-antenna Wi-Fi (MIMO) for “40 percent faster downloads and streaming” (when compared to the Apple iPad 3), an Imagination VR graphics core, and Dolby audio. All versions also include Skype for IP telephony, unlimited cloud storage for Amazon content, a modified version of Google Android, and complimentary Kindle FreeTime, a special “personalized tablet experience just for kids”. The 4G LTE models also include 20 GB of cloud storage for personal data. A 250 MB per month 4G LTE plan is available for an annual fee of $49.99. Additional 3 GB and 5 GB monthly plans are also available. Pre-orders for the Kindle Fire HD series are available immediately and expected shipping dates start on September 14 and November 20 for the Fire HD and Fire HD 8.9 respectively. An updated version of the Kindle Fire which is advertised as being 40 percent faster is also available for $159 and can be pre-ordered starting today. 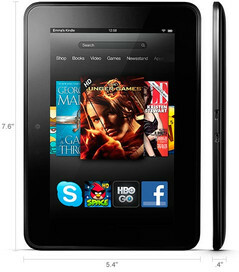 The updated Kindle Fire will be released on September 14. Amazon.com, Inc. (NASDAQ: AMZN), a Fortune 500 company based in Seattle, opened on the World Wide Web in July 1995 and today offers Earth’s Biggest Selection. Amazon.com, Inc. seeks to be Earth’s most customer-centric company, where customers can find and discover anything they might want to buy online, and endeavors to offer its customers the lowest possible prices. Amazon.com and other sellers offer millions of unique new, refurbished and used items in categories such as Books; Movies, Music & Games; Digital Downloads; Electronics & Computers; Home & Garden; Toys, Kids & Baby; Grocery; Apparel, Shoes & Jewelry; Health & Beauty; Sports & Outdoors; and Tools, Auto & Industrial. Amazon Web Services provides Amazon’s developer customers with access to in-the-cloud infrastructure services based on Amazon’s own back-end technology platform, which developers can use to enable virtually any type of business. 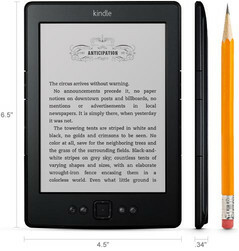 Kindle Paperwhite is the most-advanced e-reader ever constructed with 62% more pixels and 25% increased contrast, a patented built-in front light for reading in all lighting conditions, extra-long battery life, and a thin and light design. The new latest generation Kindle, the lightest and smallest Kindle, now features new, improved fonts and faster page turns. Kindle Fire HD features a stunning custom high-definition display, exclusive Dolby audio with dual stereo speakers, high-end, laptop-grade Wi-Fi with dual-band support and dual-antennas/MIMO for 40% faster throughput than other tablets, enough storage for HD content, and the latest generation processor and graphics engine—and it is available in two display sizes—7” and 8.9”. 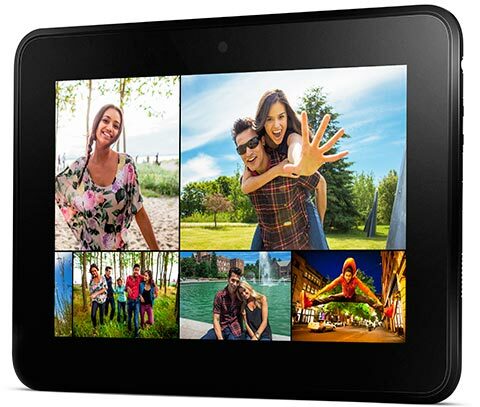 The large-screen Kindle Fire HD is also available with 4G wireless, and comes with Amazon’s groundbreaking $49.99 one year 4G LTE data package—customers save hundreds of dollars in the first year compared to other 4G tablets. 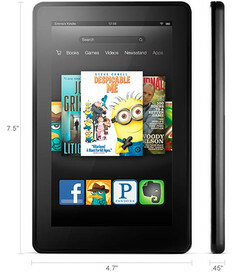 The all-new Kindle Fire features a 20% faster processor, 40% faster performance, twice the memory, and longer battery life.